Start off your visit on the 11th (Tue): tour the pleasant surroundings at Wreck Beach, then take a stroll through Granville Island, and then browse the eclectic array of goods at Granville Island Public Market. Here are some ideas for day two: kick back and relax at Kitsilano Beach, enjoy the sand and surf at Spanish Banks, and then identify plant and animal life at VanDusen Botanical Garden. To see ratings, other places to visit, more things to do, and more tourist information, refer to the Vancouver trip itinerary builder . Lagos, Nigeria to Vancouver is an approximately 23-hour flight. Traveling from Lagos to Vancouver, you'll gain 9 hours due to the time zone difference. In December, Vancouver is colder than Lagos - with highs of 7°C and lows of 2°C. 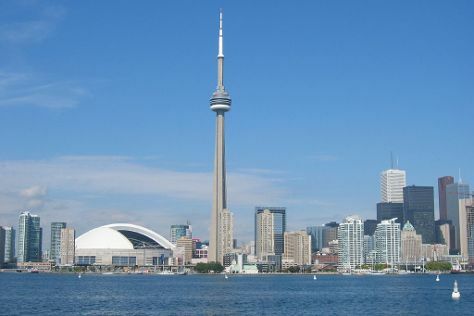 Cap off your sightseeing on the 12th (Wed) early enough to travel to Toronto. Kick off your visit on the 13th (Thu): explore the historical opulence of Casa Loma, then enjoy breathtaking views from CN Tower, and then see the interesting displays at Hockey Hall of Fame. Get ready for a full day of sightseeing on the 14th (Fri): appreciate the extensive heritage of The Distillery District, stop by Soma Chocolate Maker, and then see the interesting displays at Royal Ontario Museum. To find more things to do, maps, and more tourist information, you can read our Toronto trip itinerary builder website . Traveling by flight from Vancouver to Toronto takes 7 hours. Alternatively, you can do a combination of train, bus, and flight; or drive. You'll lose 3 hours traveling from Vancouver to Toronto due to the time zone difference. Traveling from Vancouver in December, things will get little chillier in Toronto: highs are around 2°C and lows about -3°C. Wrap up your sightseeing on the 14th (Fri) early enough to travel to Quebec City. Start off your visit on the 15th (Sat): appreciate the extensive heritage of Place Royale and then appreciate the extensive heritage of Old Quebec. 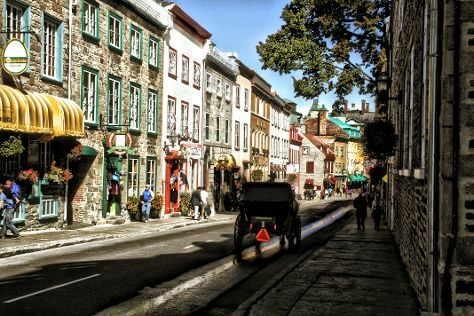 To see reviews, maps, photos, and more tourist information, read Quebec City trip planner . Fly from Toronto to Quebec City in 4.5 hours. Alternatively, you can do a combination of flight and train; or drive. Finish your sightseeing early on the 15th (Sat) to allow enough time to drive to Montreal. Start off your visit on the 16th (Sun): get a new perspective on nature at Biodome de Montreal, take in the architecture and atmosphere at Notre-Dame Basilica, and then take in the spiritual surroundings of Saint Joseph's Oratory of Mount Royal. For photos, ratings, more things to do, and other tourist information, go to the Montreal day trip tool . You can drive from Quebec City to Montreal in 3 hours. Alternatively, you can take a bus; or take a train. Expect a daytime high around -1°C in December, and nighttime lows around -7°C. Finish up your sightseeing early on the 16th (Sun) so you can travel back home.